**IMPORTANT** Read the referee registration link in the left column menu for important announcements about required courses and eligibility. The Referee Program is intended to provide an introduction to soccer officiating by offering training, including optional USSF (United States Soccer Federation) certifications, as well as opportunities by employing these children within the Club program. USSF certification is not required to be a Green Hornets club referee, but many of our youth referees advance to officiate in other leagues such as NCSL, WAGS, and BBSL. Experienced, certified adult referees provide classroom and field instruction, schedule certification courses, and then pair up more experienced referees with less experienced ones in a mentoring fashion. The actual qualification course is provided by Maryland Soccer at a very nominal cost, and is normally scheduled locally in the late summer. The referees are then scheduled to officiate Club soccer games as a single referee or as part of a 3 referee team, depending on the age group. As a scheduling goal, two games per weekend may be assigned. Novice referees usually start out as Assistant Referees, responsible for a sideline, while they gain experience and confidence, advancing to Center Referee either alone or as part of a team. The season typically runs from the weekend after labor day until the 2nd weekend of November. These referees are paid for their duties, and the scale is graduated depending on their role. 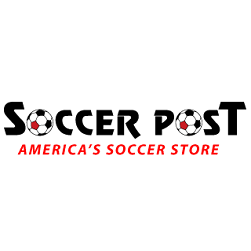 The program is a great way for experienced soccer players to learn more about the game, and is also an excellent way for children to be introduced to leadership, authority, conflict resolution, and responsibility. 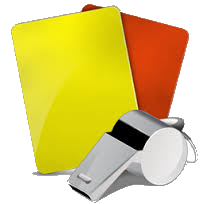 For more information, please use the links or contact the Director of the Referee Program on the Contacts link.